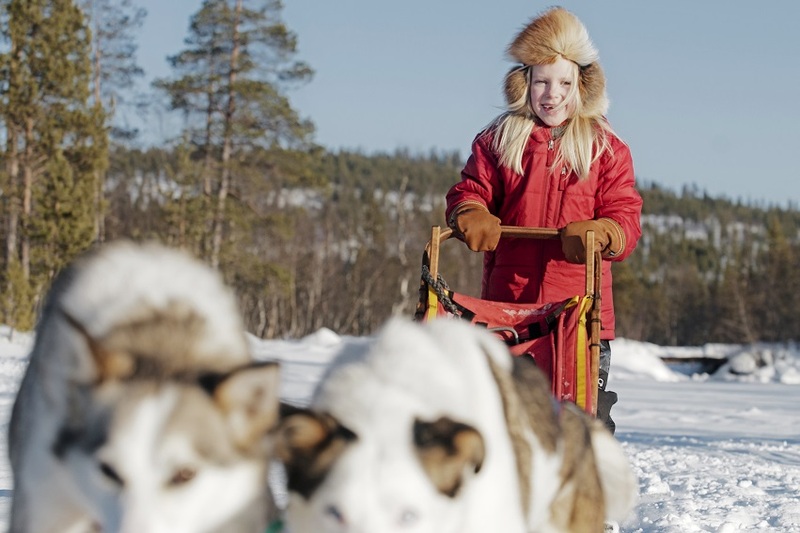 The family owned Fjellborg Arctic Lodge wilderness retreat in Arctic Lapland is a unique place where you and your kids will get reacquainted and reconnected. Our lodge accommodates families of all sizes, including large, multi-generational groups and our Packages are filled with enriching activities that will stimulate learning and bonding and build lifelong memories. 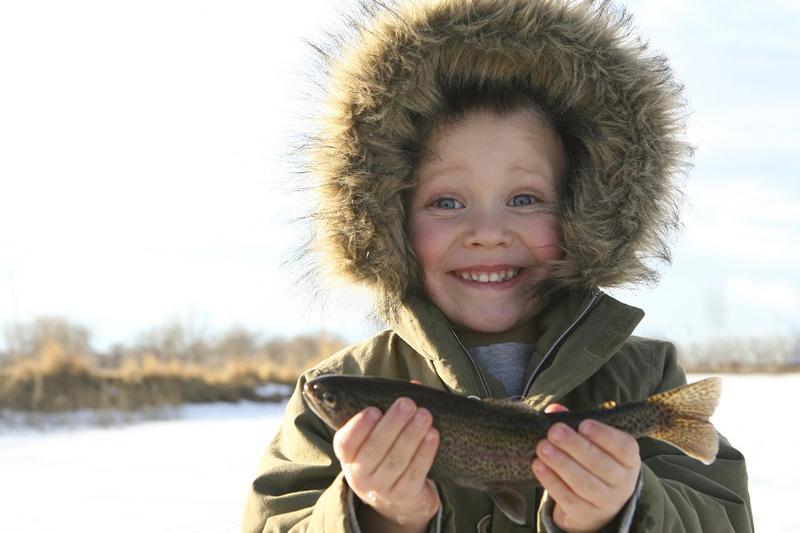 Our activities are carefully designed to offer something for the whole family. 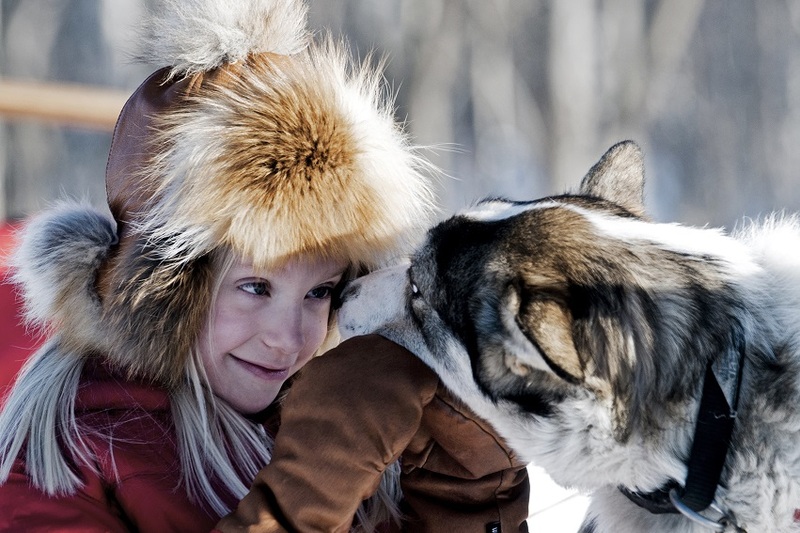 Kids love the sled dog rides with our friendly Alaskan huskies and our snowmobile excursions to a wilderness camp where lunch is enjoyed around a warming fire. 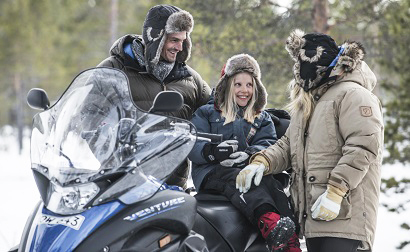 Bringing home your own catch from an ice fishing excursion is a great confidence booster and a visit to the magical world of Icehotel in Jukkasjärvi – the world’s first hotel built entirely in ice and snow – is a dream come true for every imaginative child. Our private wilderness retreat is situated in a peaceful and safe area where your children can run around freely, exploring the grounds and enjoying the magics of winter. 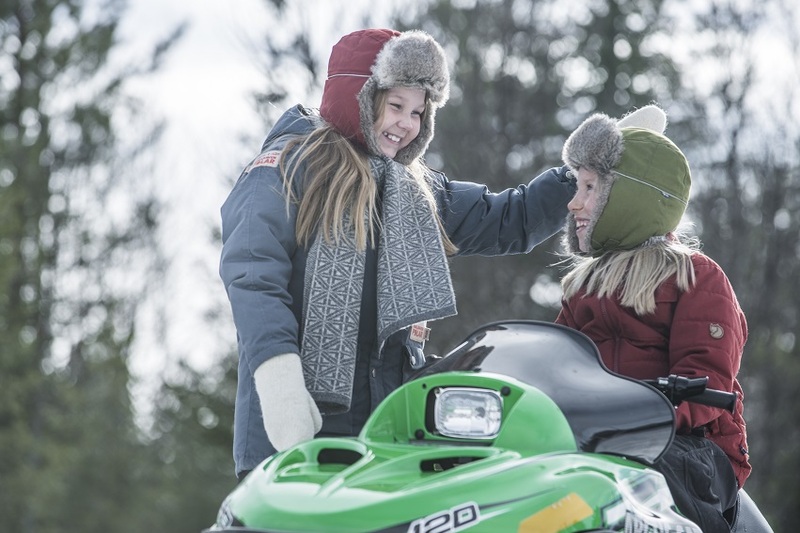 Outside of our daily privately guided activities you have unlimited use of our recreational equipment, which include a kids-sized snowmobile and a kids-sized dog sled. Learning to drive a small husky team is big adventure! Please get in touch with us if you need any help planning your trip. 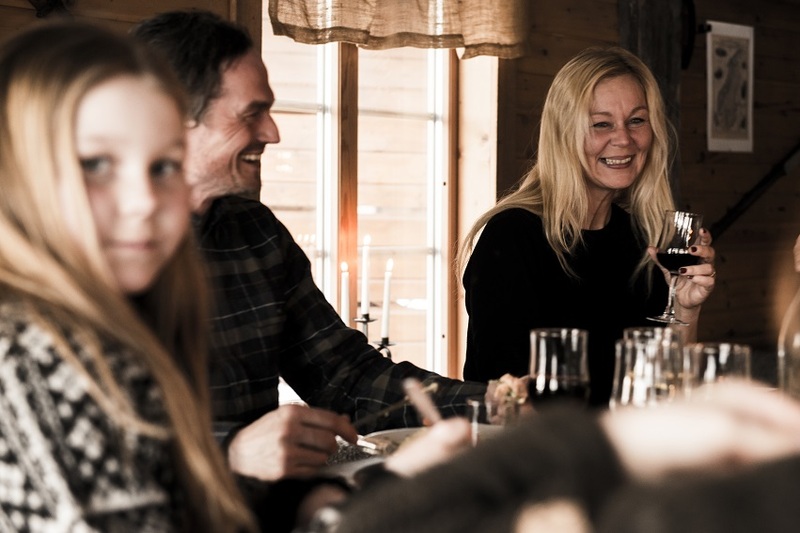 Send an email to info@fjellborgarcticlodge.com for more information or call +46 980 290 60 to speak directly to Kenth or Ann Fjellborg. 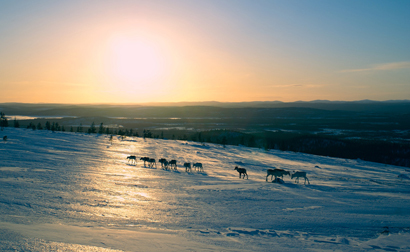 It’s amazing how the endless Arctic wilderness will actually bring your family closer together. 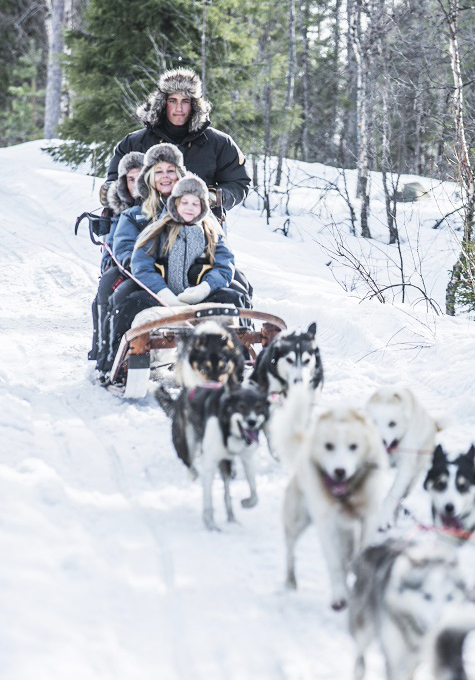 The family-owned Fjellborg Arctic Lodge wilderness retreat in Arctic Lapland, is a place where you and your kids will get reconnected and revitalised. 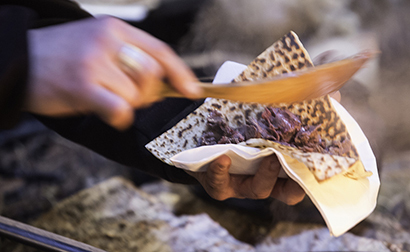 The food in Arctic Lapland is as pure and unpretentious as the landscape and tastes equally delicious in a fine dining setting as by a trailside campfire. 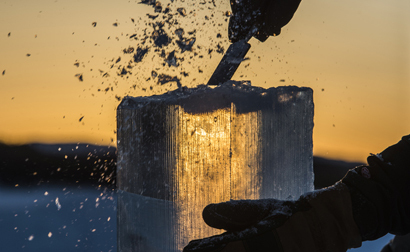 When staying at Fjellborg Arctic Lodge, your meals will be prepared by your private chef. 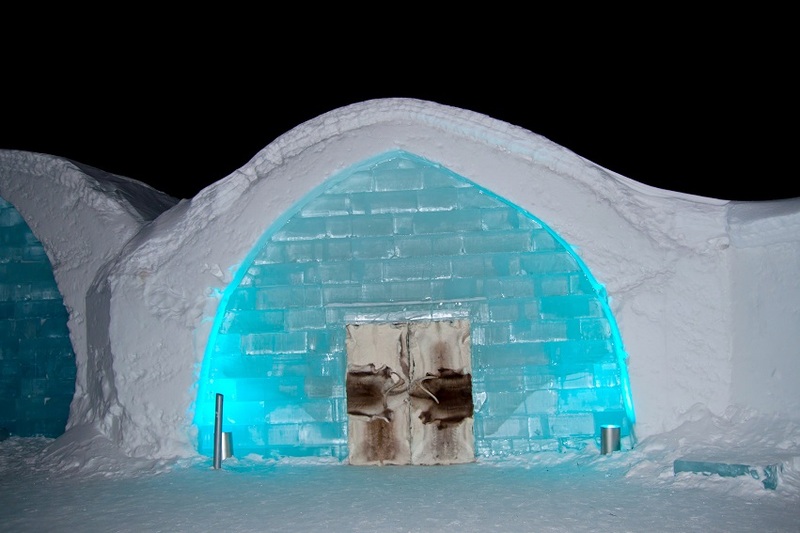 Located under the Auroral Oval and away from light pollution, the Fjellborg Arctic Lodge is ideally situated for 360 degree Northern Lights viewing and photography. Marvel at the dazzling displays of colour and light from our outdoor hot tub. 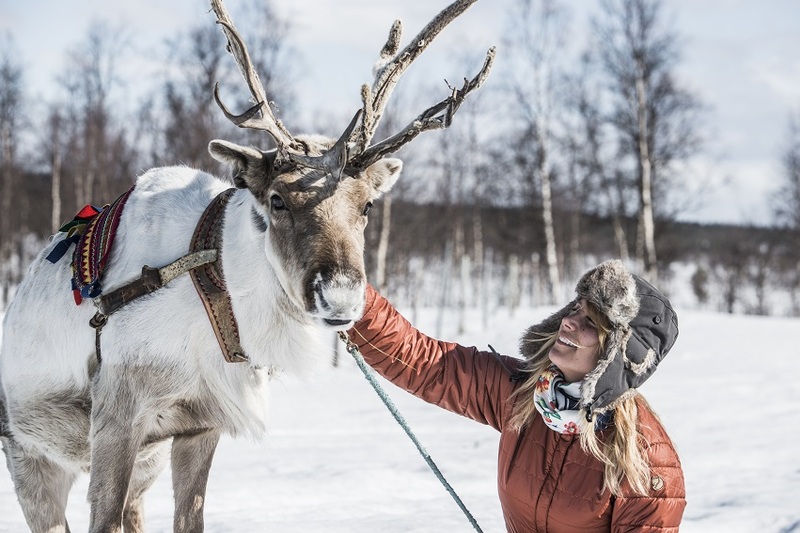 Our lodge-based All-inclusive Packages allows you to experience the wild and beautiful Arctic Lapland on privately guided excursions. You will explore the pristine wilderness in the days and return home each night to your private Master Cabin. 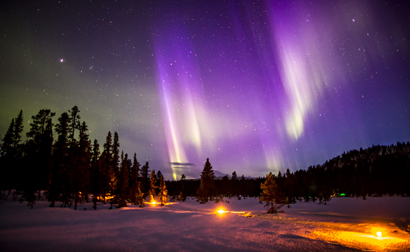 Fjellborg Arctic Lodge wilderness retreat is the ideal choice for couples who are looking for a once-in-a-lifetime holiday that combines unique outdoor adventures in Arctic Lapland with candlelit dinners and private lodging. Explore the magic of ice with this fun and creative introduction to ice sculpting. Working with your hands is a relaxing and at the same time an intense experience. 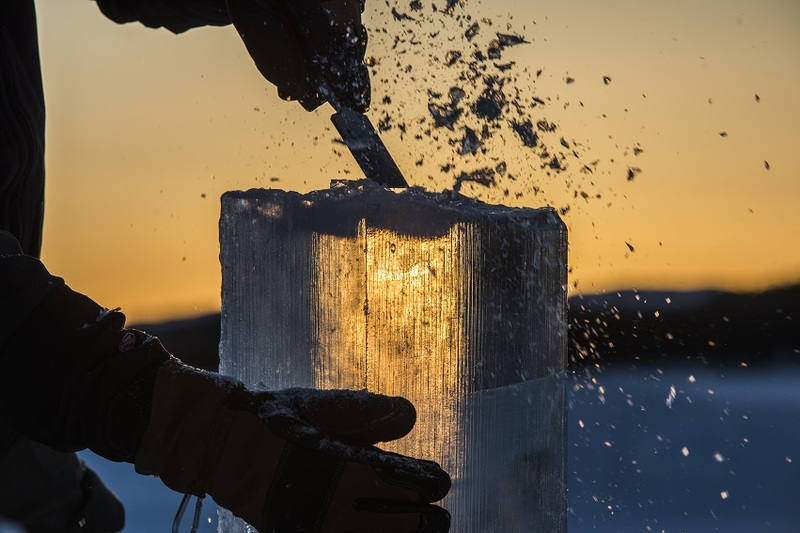 The crystal clear ice is harvested from the nearby Torne River. ©2018 Fjellborg Arctic Lodge. All rights reserved.